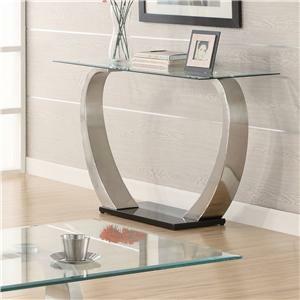 Clean, casual and contemporary, this end table will make for an attractive focal point to your living room decor. 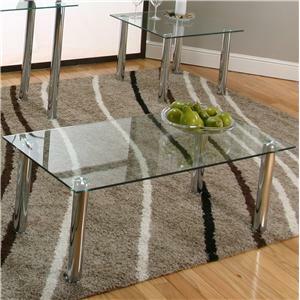 The piece carries chrome legs and features a square-shaped flat edge glass top, which is sure to provide your room with a greater sense of depth. 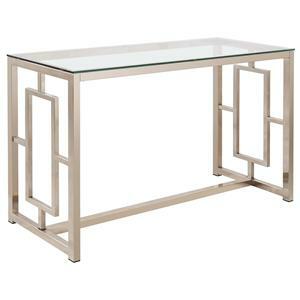 There will be so much to like with this end table in your home. 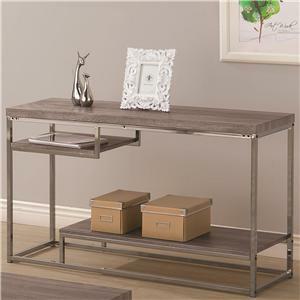 The Contemporary Design - Napoli Console Table w/ Glass Top by Cramco, Inc at Value City Furniture in the New Jersey, NJ, Staten Island, Hoboken area. Product availability may vary. Contact us for the most current availability on this product. 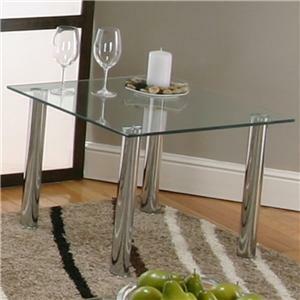 F5476-96 Chrome Legs Sofa Table Base 1 0" 0" 0"
F5476-95 Rectangular Clear Glass Flat Edge Glass So 1 20" 50" 30"
Case Detail Chrome Finish Metal Cylindrical Legs on Tables. 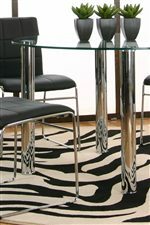 For sophisticated contemporary design for your dining area, you will love the Contemporary Design - Napoli collection. 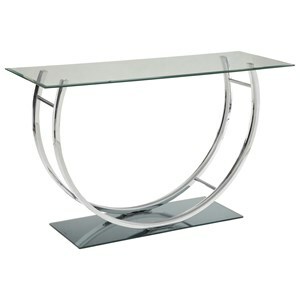 The sleek modern look starts with a 45-inch diameter round clear glass top or 36-inch by 60-inch rectangular top with support from substantial chrome metal legs. Complete seating at your dinette set that is perfect for a kitchen breakfast nook to a more formal dining space. 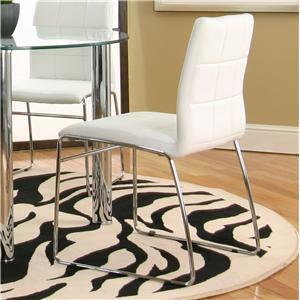 Available in black or white, the polyurethane sled side chairs with stitched details offer the look of leather with durability for use with either of the tables. 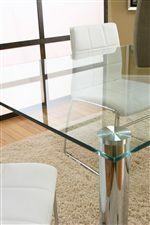 The Contemporary Design - Napoli collection is a great option if you are looking for Contemporary furniture in the New Jersey, NJ, Staten Island, Hoboken area. 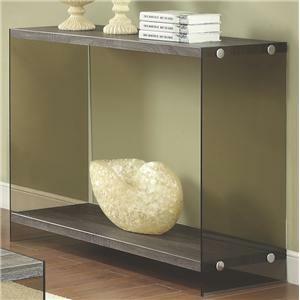 Browse other items in the Contemporary Design - Napoli collection from Value City Furniture in the New Jersey, NJ, Staten Island, Hoboken area.